(Hong Kong – 14 August 2018) Get ready for the full moon and some romantic time this Mid-Autumn Festival! 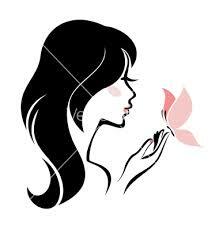 This traditional Chinese festival is one of the most celebrated occasions in Hong Kong. Last year, Lee Tung Avenue spent a wonderful Mid-Autumn Festival with the public under an impressive giant moon art installation named “Museum of the Moon”. 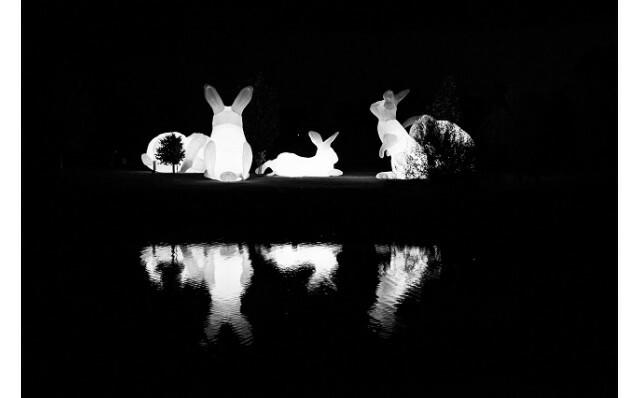 The fairy-tale romance will continue this year with a new exhibition, the “Moon Rabbit Lumiere”, jointly presented by Lee Tung Avenue and China Hong Kong City. 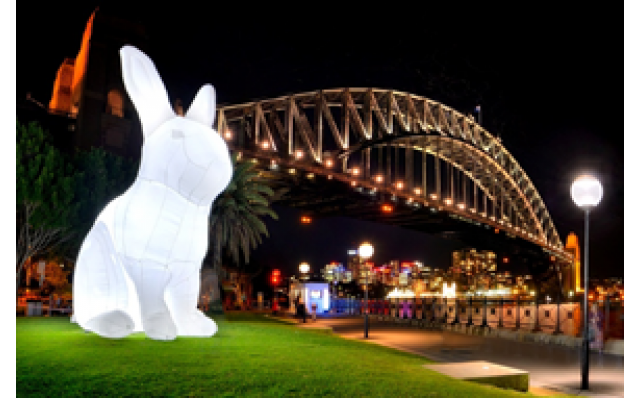 Together with world-renowned Australian artist Amanda Parer, the two venues are going to showcase 10 giant “Moon Rabbits” that have appeared in over 80 cities and 40 international arts festivals and event spaces. 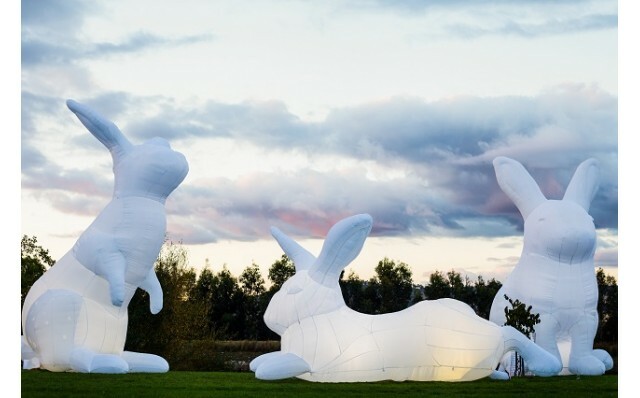 Catch a glimpse of these dreamlike giant white rabbits between 19 September and 17 October 2018! Meanwhile, the iconic lanterns along Lee Tung Avenue make the perfect backdrop for the Mid-Autumn Festival. For the first time, a smart lighting technology equipped with iBeacon transmission will turn the shopping street into the “Avenue of Lights” with over 800 colourful lanterns. 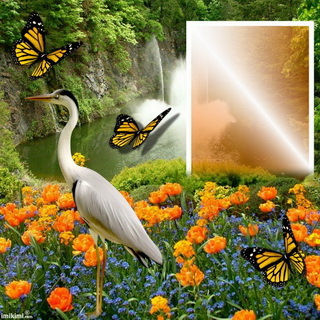 With a mobile application, visitors can control the lighting for a truly immersive and interactive experience. With Lee Tung Avenue’s mobile app, in addition, visitors can play the “Chinese Riddle Hide and Seek” through the app to win surprising rewards. China Hong Kong City, a glittering gold-colour building that offers a vantage point for viewing the sunset over Victoria Harbour, has been a favourite among photography lovers. 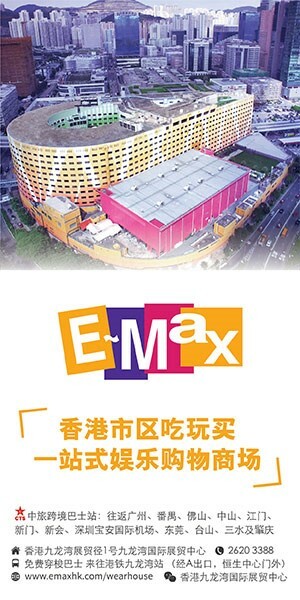 During the one-month “Moon Rabbit Lumiere” exhibition, the podium of the mall will be filled with happenings every weekend, from the “Golden Sunset Music Festival” to the “Moon Rabbit Sunset Yoga” and the “Moonrise Picnic Party”. Visitors can take in views of the sun-kissed harbour while basking in the golden rays of autumn on the spacious podium. 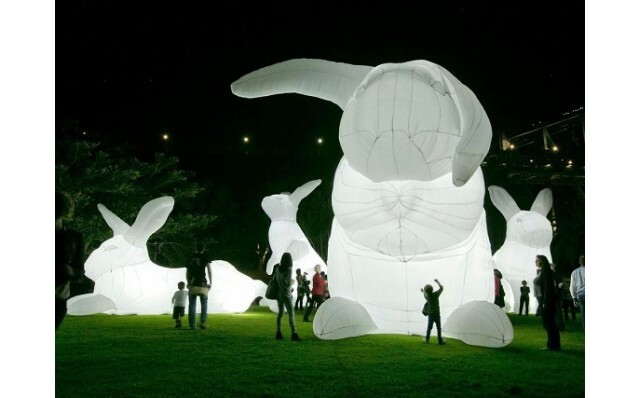 The “Moon Rabbit Lumiere” exhibition is a collaboration with renowned Australian artist Amanda Parer, whose inflatable giant rabbits have appeared in over 80 cities in countries including Canada, Finland, France, Germany, Portugal, South Korea, Turkey, the UK and the US, and in over 40 international arts event spaces and festivals, such as the National Gallery Singapore, the Winter Lights Festival in London and the San Francisco Arts Commission Galleries. This world-class art installation has been viewed by as many as six million people worldwide already. 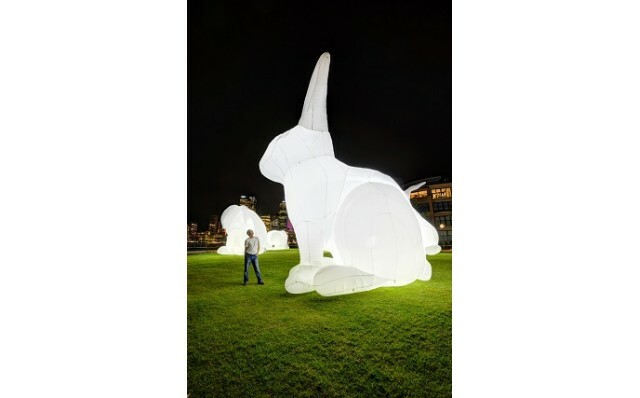 The 10 giant illuminated rabbits (five big and five small respectively) to be exhibited in Hong Kong for the first time come in different forms, with the tallest being seven metres tall. China Hong Kong City and Lee Tung Avenue, landmarks in Kowloon and Hong Kong Island respectively, have been chosen for exhibiting the Moon Rabbits because China Hong Kong City enjoys a 180-degree view of Victoria Harbour, and is in the vicinity of the fast-developing West Kowloon Cultural District, and located near the terminus of The Hong Kong Section of the Guangzhou-Shenzhen-Hong Kong Express Rail Link, whereas Lee Tung Avenue has earned a reputation for organising campaigns that mix modern and artistic elements with traditional Chinese cultural elements and has become a popular place for festive celebrations. Hence, China Hong Kong City and Lee Tung Avenue will transform into moon palaces this year for the public to celebrate the Mid-Autumn Festival with the Moon Rabbits. To recreate the vibrant Mid-Autumn Festival celebrations in the old days, Lee Tung Avenue is organising the “Mid-Autumn Celebratory Fair” between 23 and 25 September. The fair features various traditional crafts, including lantern-making, puppetry and sugar-candy blowing, as well as traditional snacks. It will also see the “LED Fire Dragon Fiesta”, which marries the ancient custom of fire dragon dance with environment conservation. The dragon parade team will even invite spectators to join the procession to parade around the giant Moon Rabbits holding traditional lanterns. This year, the LED fire dragon will make its way to China Hong Kong City on the day of the Mid-Autumn Festival to celebrate the festive occasion with friends in Kowloon next to Victoria Harbour. Families are welcome to bring their lanterns and join the party on the podium. To make more people fall in love with this traditional Chinese festival, the lion and dragon dance masters will also invite visitors to take part in the parade. The luxuriant lanterns along Lee Tung Avenue are in themselves icons for Mid-Autumn Festival celebrations. This year, Lee Tung Avenue is introducing for the first time a smart lighting technology equipped with iBeacon transmission and over 800 colourful lanterns to turn the shopping street into the “Avenue of Lights”. Visitors can control the lighting of the lanterns through the Lee Tung Avenue mobile app (prior registration is required) and create personalised “Avenue of Lights” with their loved ones! Lee Tung Avenue also invites visitors to join the “Chinese Riddle Hide and Seek” mobile game to win exclusive tenant offers and surprises! The sunset view it has to offer and the golden colour of its building have made China Hong Kong City one of the 10 hotspots for photo-taking in the city. This Mid-Autumn Festival, the public can enjoy the breezy weather in this public space through a variety of programmes, including the “Golden Sunset Music Festival”, in which bands from Japan and Singapore as well as talented local young musicians will chill out with the spectators in one evening; the “Moon Rabbit Sunset Yoga” for yoga lovers to practice mindfulness against the backdrop of a magnificent view; and the first-ever “Moonrise Picnic Party” in October, an elegant affair that will see fashionistas gathered together to enjoy the sunset, music and good wine.